Have I ever told you how much I love Archie McPhee? They really have the market cornered as far as whimsical bacon stuff goes. 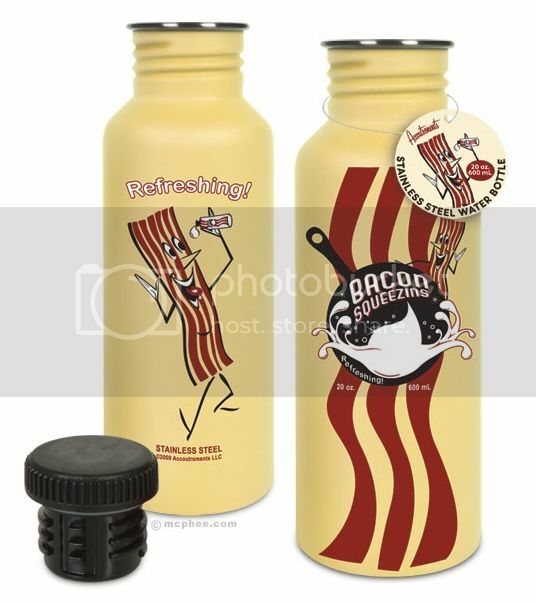 Their newest is this fantastic stainless steel bacon water bottle featuring Mr. Bacon ($11.95). Obviously, I need this for my office, where my co-workers would probably not be at all surprised if I was actually sipping on Bacon Squeezins and not silly ole' water.